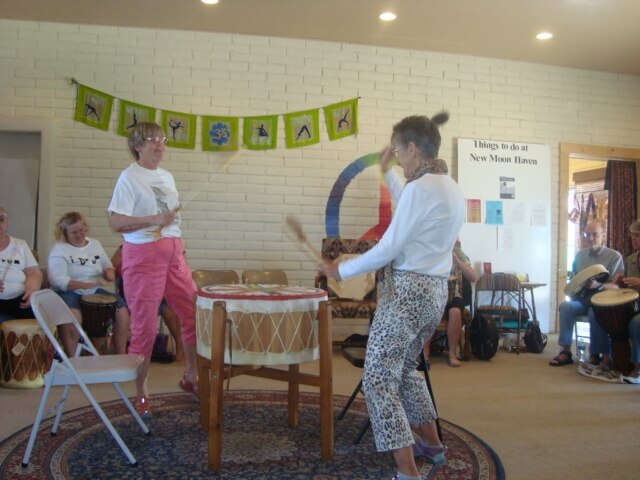 The Mission of The Different Drummer’s Women’s Drum Circle is to facilitate hand drumming (African djembe); hand-held Native American frame-log drums and other small percussion instruments (as accents). Each member will be considered an equal part of the Circle, giving and taking whichever emotional/spiritual values that she is comfortable with. 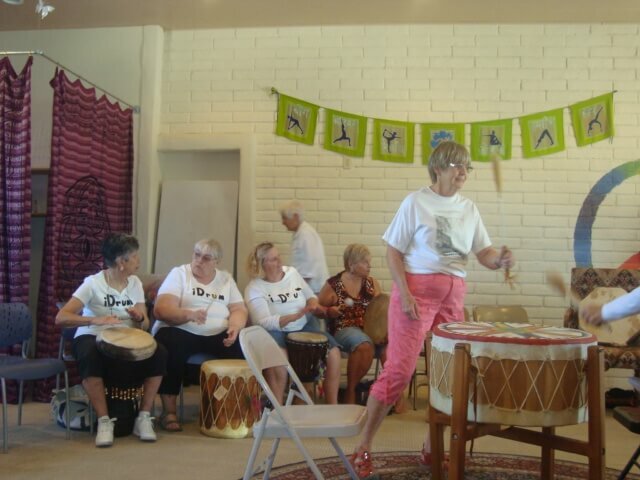 People worldwide, for centuries, have used group drumming to energize minds and bodies, strengthen community bonds, release stress, and celebrate life. 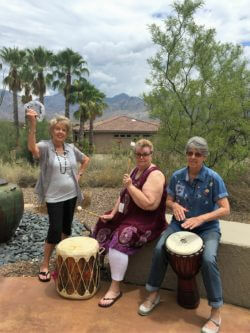 Join our community drum circle to connect with other Sun City women. 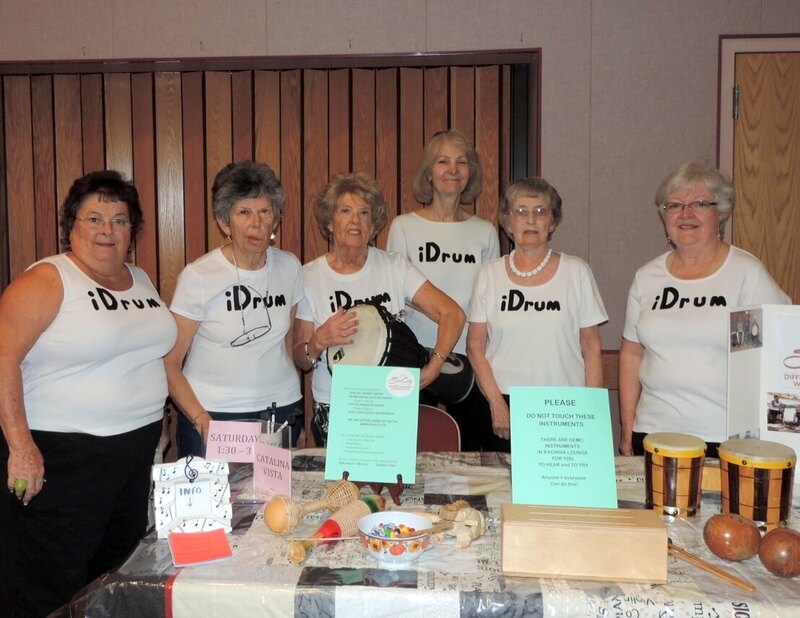 Drum, laugh, and meet new friends. 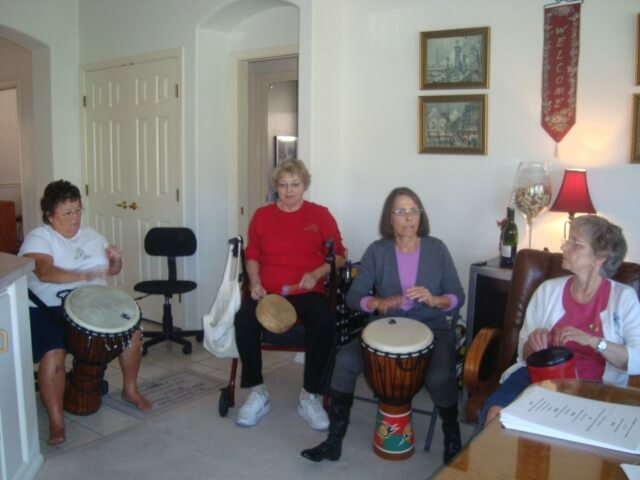 You may be surprised to learn that you already have an innate rhythm. 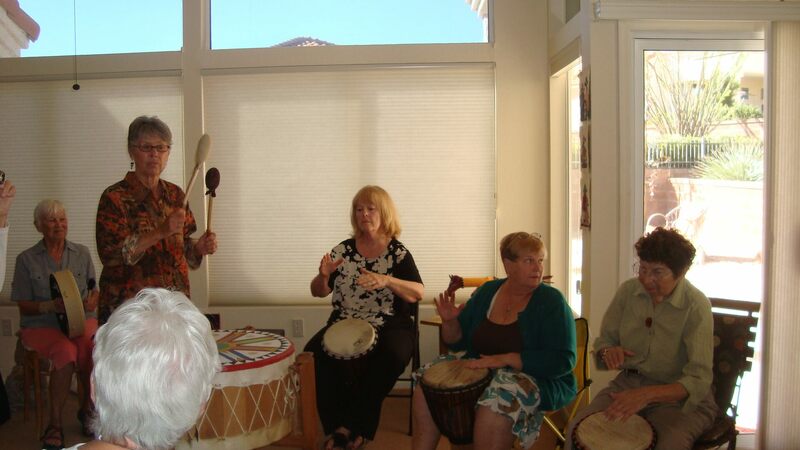 Drums provided for guests.